Tell us what youre looking for and well help you with financing and pricing details. We have decades of experience with instruments to help navigate manufacturer models, setups, and options. Call or use our Contact Form. 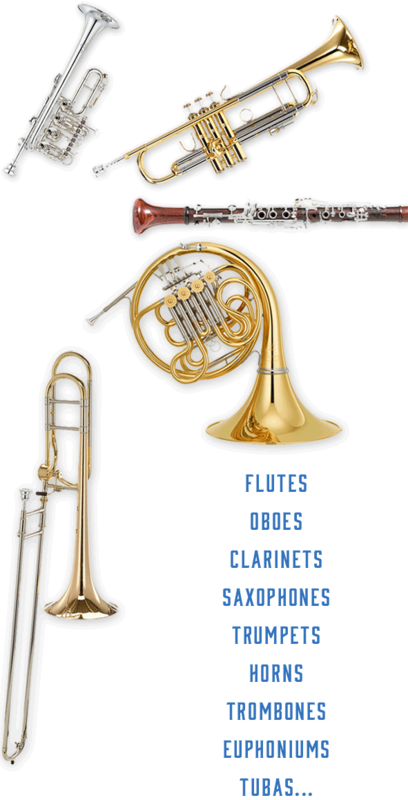 Connect with our instrument department. 1. The Lowest Internet Price Get the manufacturers special internet pricing... its the lowest price we are allowed to advertise! 2. Easy Monthly Payments If you wish, simply divide the manufacturers internet price by 36 - that is your monthly price for 36 months with 0% interest. Credit approval is required. Sorry, U.S. residents only. 3. Buy-Back Guarantee The best part: If things dont go as planned, you may return the instrument any time after 6 months and before 18 months of ownership for a full refund minus the total of the payments you made. If you return the instrument after 18 months, we will guarantee your refund amount will never be less than half of the instruments total purchase price -- all the way up to (but not after) 36 months of ownership. Instruments with normal wear and tear are accepted for refund under these conditions at our discretion and authorization. Many more makes and models available. Call. If you have an instrument to trade in... Call us, speak to our instrument specialist, then email the specialist some pictures of your trade-in instrument. Well make you an offer as a credit toward your new instrument purchase and well give you instructions on how to package and where to send your trade-in. We can also make a cash offer for your instrument if you prefer. Get approved and we will waive the normal interest rate on the internet price shown during the application process -- your interest will be 0%!